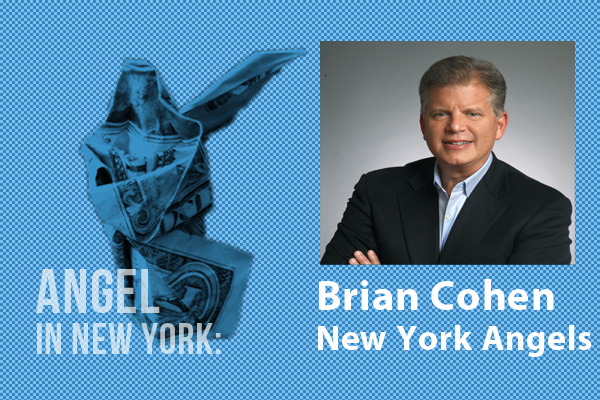 Brian Cohen, current Chairman of the New York Angels, has been considered the father of science and technology communications since he founded Technology Solutions, Inc. in 1983, supporting startup tech companies ever since. Backing up a bit, in graduate school he dipped his feet into the publishing world, helping pioneer computer trade publications like Computer Systems News and InformationWeek magazine. He did this all the while working on a master’s degree in science communications from Boston University’s School of Public Communications, where he currently on the Dean’s Board of Directors. Cohen also received two honor B.S. degrees from Syracuse University in biology and speech communications. In 1996, TSI was recognized as the No. 1 fastest-growing agency in the U.S., and it was awarded the Gold CIRPA award in 1998 for creating the IBM Deep Blue/Gary Kasparov Chess Match communications program. Between acquiring accolades, the company was bought by the McCann Erikson Worldgroup in 1997. Cohen, a researcher at heart, maintained a broad strategic communications partnership with Sony and IBM for more than a decade, all the while creating Focus Technology, which provides research and instituted the RPM model of integrated communications. Last year, Cohen and his son Trace founded launch.it, the first straight-to-consumer, self-publishing PR news platform. Their goal was to allow startups an arena to get quality visibility for their new ideas and products. Having invested over $50 million in more than 70 early-stage businesses, Cohen is known for his belief that all products, services and ideas should be easy to discover and share. He has been part of immense success as Pinterest’s first founder, an investment he discovered while listening to its founders pitch a different project. He invested in Pinterest after consulting his family, which, he says, is a common practice of his. Most recently, Brian has written the book What Every Angel Investor Wants You To Know: In Insider Reveals How To Raise Money For Your Billion-Dollar Idea, which was published by McGraw Hill this past March. On the growing angel investor community: “There’s a lot of ‘wanna-preneuers’ out there that are getting funded by too many angels who have done very little ‘do diligence.’ There is a lot of money, but I don’t see a bubble forming. For more information on startup funding and investments, visit our funding section.